• 100 BULLETS TPB VOL. 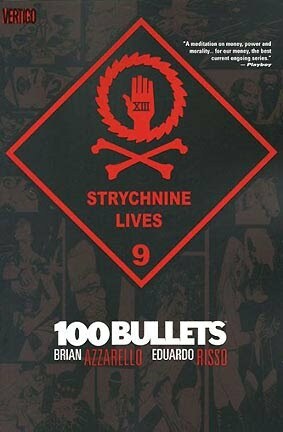 9 "Strychnine Lives"
• PLOT SUMMARY: Unraveling the tangled mystery of the Trust as Wylie Times becomes the latest Minuteman to be reactivated by the Trust's one-time enforcer Agent Graves. But which side will he choose? Plus, an introduction by crime novelist Jason Starr (Twisted City, Tough Luck).